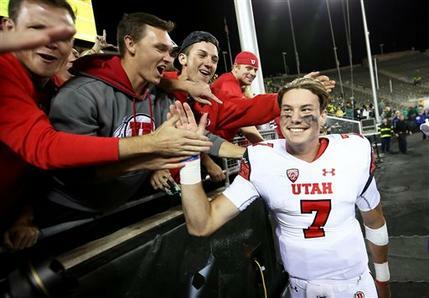 EUGENE, Ore. (AP) — Travis Wilson returned from a shoulder sprain and threw for 227 yards and four touchdowns in No. 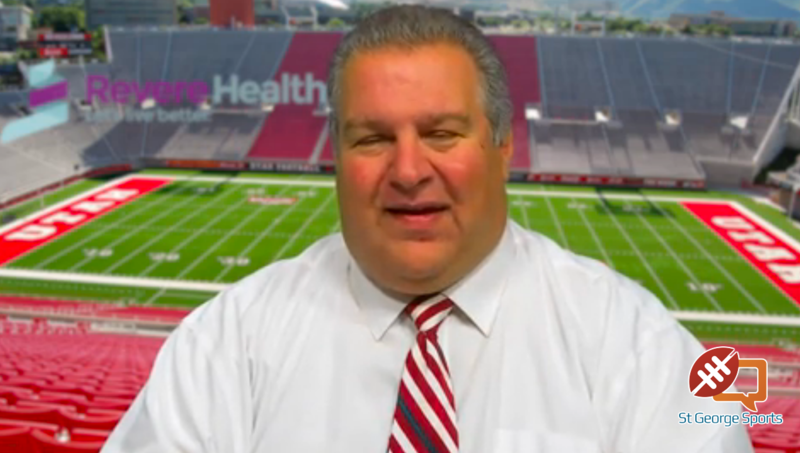 18 Utah’s 62-20 victory over No. 13 Oregon on Saturday night in the Pac-12 opener for both teams. 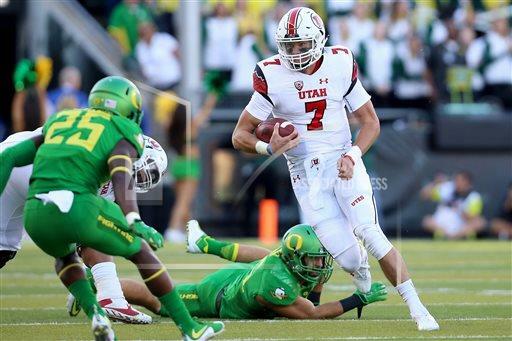 Wilson completed 18 of 30 passes, hitting nine receivers, and ran for 100 yards and another score for Utah (4-0). The lanky senior sprained his left shoulder two weeks ago against Utah State and sat out the Utes’ victory last weekend over Fresno State. It was Oregon’s worst loss at home since falling 54-0 to Washington in 1977. Utah’s 62 points were the most scored against a Pac-12 opponent since joining the league in 2011, and also the most the Ducks have ever allowed in Eugene. Vernon Adams Jr. started at quarterback for Oregon (2-2) despite a broken index finger that kept him out of the Ducks’ victory last weekend over Georgia State, but he didn’t last long and was replaced by backup Jeff Lockie in the second quarter. But it was Oregon’s besieged defense that had no solution for Wilson and the rolling Utes, who amassed 530 yards of total offense. Andy Phillips put Utah ahead with early field goals from 28 and 44 yards, and Utah’s defense thwarted Oregon’s first three series of the game. But Byron Marshall’s 77-yard kickoff return and a facemask penalty put Oregon on the Utes 11 at the end of the first quarter, and Adams capped the short drive with a 13-yard touchdown pass to Royce Freeman. The 2-point conversion failed. The Utes pulled back in front on Wilson’s 26-yard touchdown pass to wide-open Britain Covey in the end zone, then pushed the lead to 20-6 with Wilson’s 7-yard pass to Kenneth Scott. Oregon’s defense struggled. The unit went into the game ranked 105th among FBS programs for overall defense, allowing an average of 456.3 yards. The Ducks’ scoring defense was at 104th in the country. Adams struggled, too. The senior, transferred to Oregon from Eastern Washington for his final season of eligibility, broke his finger in the season opener against his former team. He completed just two of seven pass attempts before he was replaced by Lockie, Marcus Mariota’s backup last season. Lockie sparked the offense, completing his first three passes of the game and earning a “Lock-ie! Lock-ie!” chant from the Autzen Stadium crowd. His first drive finished with a 6-yard touchdown pass to Bralon Addison. But the enthusiasm from the crowd was short-lived and Utah answered with Wilson’s 9-yard scoring pass to true freshman Caleb Repp to make it 27-13 going into the half. Wilson opened the third quarter with a 2-yard scoring run, and the Utes padded the lead with running back Devontae Booker’s 25-yard scoring pass to Covey. Oregon suffered a blow early in the third quarter when Marshall appeared to injure his right ankle on a kickoff return. The senior receiver, who ranks 10th on Oregon’s career list with 27 touchdown receptions, had to be carted to the locker room. Wilson hit Repp with a 16-yeard scoring pass and the Utes went up 48-13, sending fans streaming for the exits. Boobie Hobbs added a touchdown on a scored on a 69-yard punt return when Utah faked out the Ducks by drawing them to a different player. There also was a punt re-do because it hit an overhead camera wire. Backup Kendal Thompson ran 6 yards for the final Utah touchdown. The game also featured an appearance on offense at receiver for Utah cornerback Cory Butler-Byrd. The versatile junior was last week’s Pac-12 special teams player of the week for his 98-yard kickoff return for a touchdown against Fresno State. Utah coach Kyle Whittingham said there was a possibility that he would see time on offense this season.